The lovely pearl shaped island of Camiguin is fringed by emerald mountains clad by verdant jungles and its bountiful coastline is lapped by glimmering turquoise waters. Located off the northern coast of Mindanao, this blissful province has long been flocked by tourists, but the good news is - it has managed to keep its serenity! 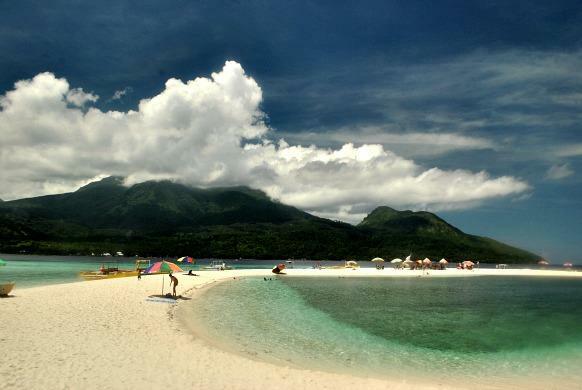 Camiguin is clad by spectacular long stretch of coastline that could pass as a tropical beach clichés. Rent a boat to take you to White Islands, a dreamy sandbar and marvel at the perfect vista of Mt.Hibok-Hibok and Mt.Vulcan. If you are looking for a beach devoid of crowd, head to Mantigue Island. Swim, dive or snorkel in its cerulean waters or simply laze in its powdery white sand. Unfortunately, homestay is no longer allowed here by the local government. This tiny island is bursting with cold and hot springs perfect for swimming. Soak into the charming Sto.Niño Cold Spring, a local favorite for picnics. If you prefer a hot spring, rush to Ardent Hot Spring and take a relaxing dip in its waters originating from Mt. Hibok-Hibok. Other must-see springs in Camiguin are Macao Cold Springs, Tangub Hot Spring and Bura Natural Soda Water Swimming Pool. 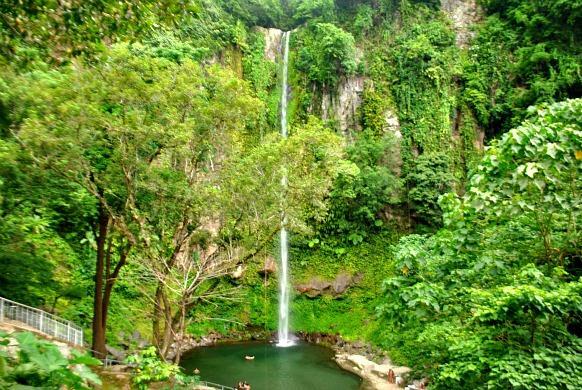 If you fancy waterfalls, pay a visit to Katibawasan Falls and be delighted by its height and pea green basin surrounded by lush ferns and trees. And if you are looking for more adventure, make time for a trek in the scenic trail to Tuasan Falls. Camiguin is riddled with volcanoes and massif, and if you are craving for scenic panoramas, follow the mountainside track of the Walkway to the Old Volcano and Stations of the Cross. Be prepared for a strenuous hike but it’s worth the effort once you get to the summit of Mt.Vulcan and if you go in late in the afternoon, the majestic sunset is an added bonus. For avid mountaineers, obtain a permit from DENR office in Mambajao to hike up Mt.Hibok-Hibok. Stroll around the bustling capital of Camiguin – Mambajao, and marvel at the old colonial houses dating back to the Spanish and American Colonial era lined up on its small street. It is also interesting to note that the first Spanish settlement in the province was established in Guinsiliban. Make time to pay a visit to the old churches scattered in this small province. There's the miraculous church of Baylao, the Santo Rosario Church in Sagay and the Gui-ob Church (Old Catarman Church Ruins) with only the walls of the church and bell tower standing to date. 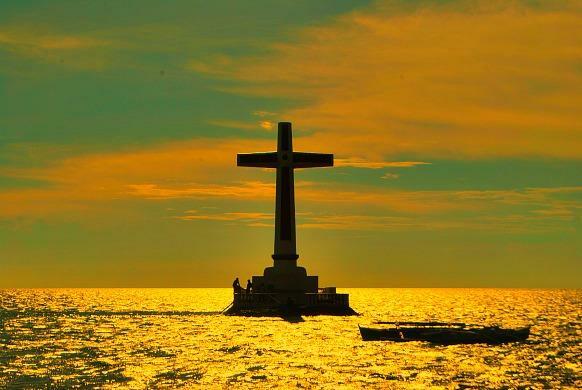 An impeccable way to end your day tour is by paying a visit to the Sunken Cemetery, one of the areas submerged in the sea due to the wrath of Mt.Vulcan in 1871. Gawp at the stunning scene as the sky turn into a mix of tangerine, pink and blue against the colossal cross at twilight.